Meet: Virginia. My best friend from high school who is also getting married this summer (T-2 weeks!). Our weddings cannot be more different. Virginia’s will be small, mine big. 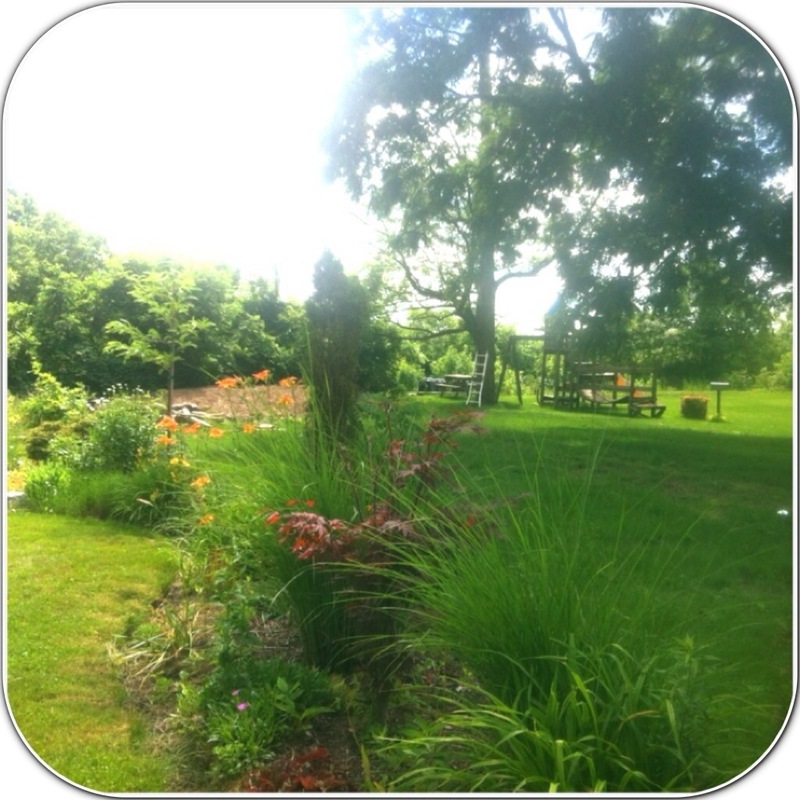 Hers is going to be laid back on her parent’s farm property, mine will be an orchestrated production across the Greater Toronto Area. Her wedding colors are neutral. Mine are colorful. Her wedding will last one day, mine seven, lol. 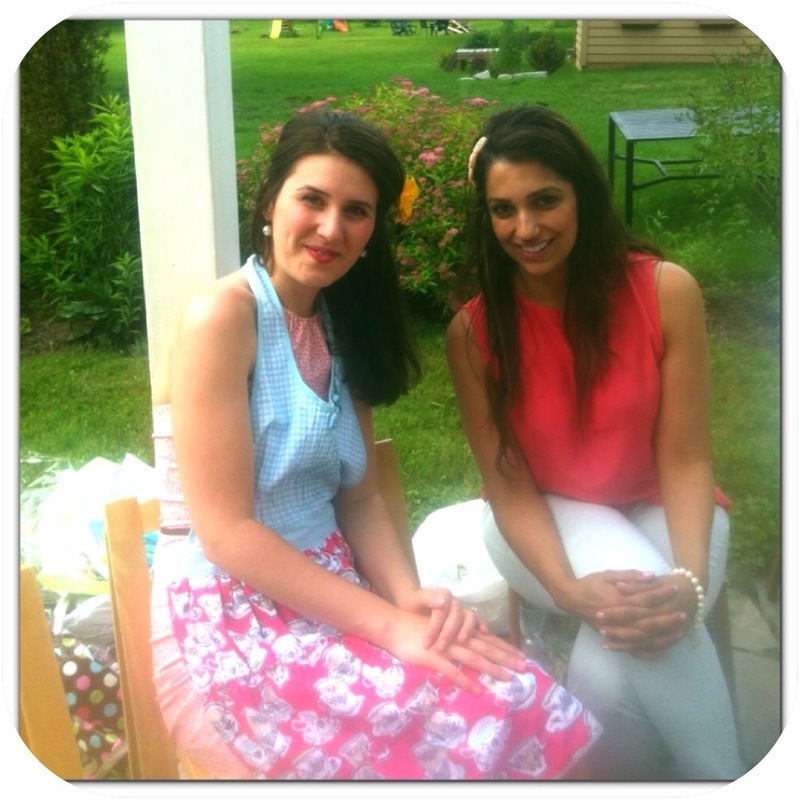 Today I attended her lovely bridal shower hosted by her aunt and cousin in the pretty little town of Paris, Ontario. I pulled up to her cousin’s charming 1920s home (complete with the white picket fence) and went inside to find Virginia in the same dress she wore from our grade eight graduation! (Which really says two things 1) you’re still thin enough to fit into a dress that you wore when you were 13 and 2) you had the foresight to purchase a dress at 13 that would still look nice at 26, on your own bridal shower! Lol). 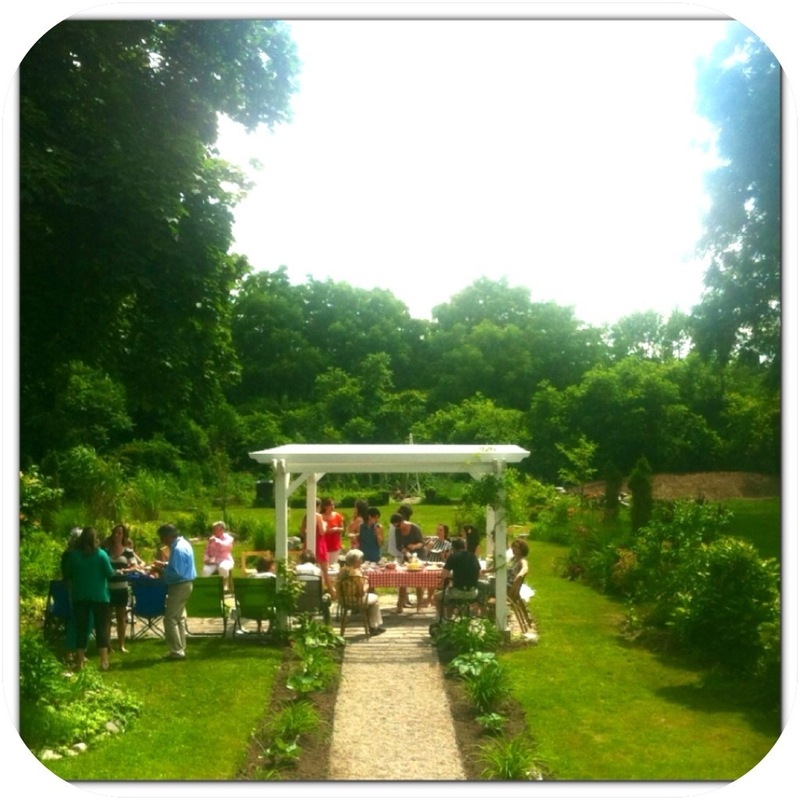 The hosts were serving fresh lemonade and there was a table spread with toothpicked tomato, Bocconcini cheese and green leaf drizzled with olive oil, a spread of meats and cheeses and a berry compote. 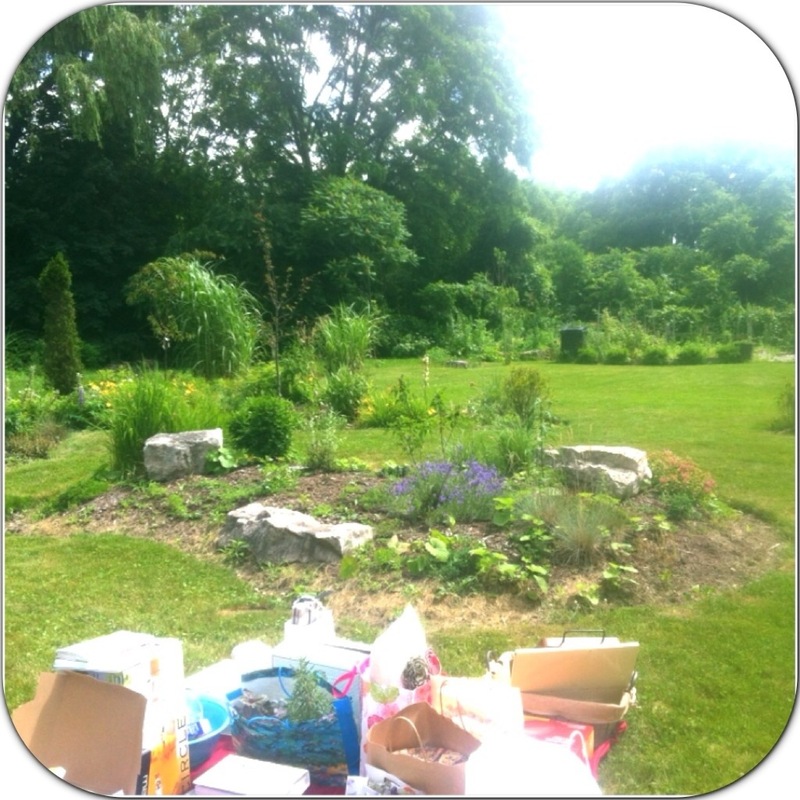 After some time nibbling and mingling, all the ladies headed outside into the backyard garden to find a gazebo area with a table full of vintage teacups, and chairs set up around it, next to a blanket full of gifts on the lawn. Virginia was showered with gifts by her grandmother, aunts and cousins and then we all had tea and refreshing Lemon cake made by her Aunt via the one and only, Martha Stewart. 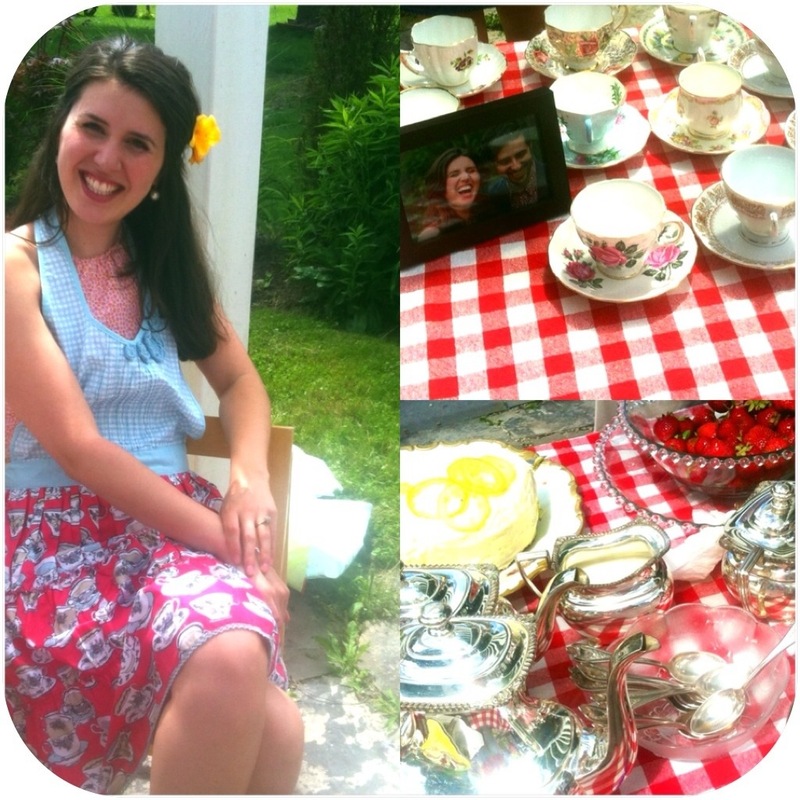 Simple and country chic is the best way to describe Virginia’s shower, much like my lovely friend herself! Anyhow, I’m certainly happy I discovered it and I’ll be bookmarking it and checking back regularly!